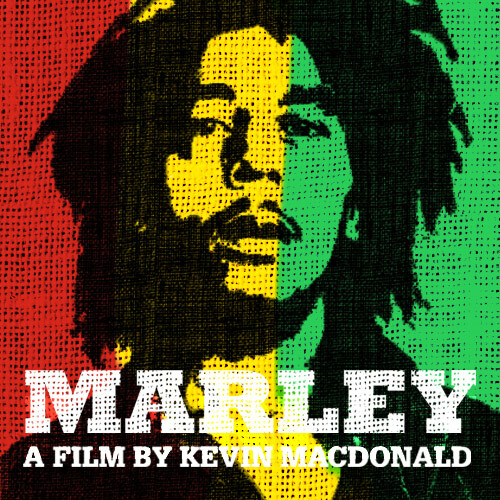 New York – February 6, 2012 – The Wagner/Cuban Company’s Magnolia Pictures announced today they have acquired US rights to MARLEY, the definitive documentary about legendary musician Bob Marley, directed by Academy Award-winner Kevin Macdonald (One Day in September, The Last King of Scotland). Produced by Steve Bing (Shangri-La Entertainment) and Charles Steel, and executive produced by Bob’s son Ziggy Marley and Island Records founder Chris Blackwell, MARLEY will have its world premiere at the 62nd Berlin International Film Festival in February, and its North American premiere at the SXSW Film Festival in Austin, TX in March. The film will open in theaters on Friday, April 20th, launching day and date with all VOD and digital platforms. VH1 has come onboard to license the first TV Window of the film as part of their Emmy-Award winning VH1 Rock Doc franchise and will work with Magnolia and the filmmakers to promote the film across their music lover channel. Made with the unprecedented support of the Marley family, MARLEY is the first film to tell the definitive life story of the musician, revolutionary, and legend, from his earliest days to his rise to international superstardom. Along with an incredible soundtrack, the film features rare footage, archival photos, and incredible performances and interviews with his family, friends, and bandmates – the people that knew him best. The film is sure to be a revelation to Bob Marley fans, of which there are many (the triple-platinum artist has nearly 35 million fans on his Facebook page alone), and newcomers alike. “This documentary is the ultimate revelation of my father’s life,” said Executive Producer Ziggy Marley. “The family is proud to be able to have the world finally experience this emotional journey." The deal was negotiated for Magnolia by SVP of Acquisitions Dori Begley and Head of Business Affairs Chris Matson and for VH1 by Ben Zurier and Brad Abramson with Liesl Copland of WME Global on behalf of the filmmakers. Magnolia Pictures (www.magpictures.com) is the theatrical and home entertainment distribution arm of the Wagner/Cuban Companies, a vertically-integrated group of media properties co-owned by Todd Wagner and Mark Cuban. Recent releases include Lars Von Trier’s Melancholia, Page One: Inside the New York Times, French thriller Point Blank, Blackthorn, starring Sam Shepard as Butch Cassidy, Andrew Jarecki’s All Good Things, and Luca Guadagnino’s I Am Love. Magnolia's upcoming releases include Tim & Eric’s Billion Dollar Movie, Lauren Greenfield’s The Queen of Versailles, Sarah Polley’s Take This Waltz, Fernando Meirelles’360, The Hunter, starring Willem Dafoe, David Gelb’s Jiro Dreams of Sushi, Jo Nesbo’s Headhunters, Bradley Rust Gray’s Jack & Diane, and many more. About Shangri-La Entertainment Shangri-La Entertainment has produced films including THE POLAR EXPRESS, SHINE A LIGHT, BEOWULF, LOOKING FOR COMEDY IN THE MUSLIM WORLD, FOR YOUR CONSIDERATION, HEART OF GOLD and CSNY:DÉJÀ VU and has also co-produced the Jerry lee Lewis CDs, “Mean Old Man (2010) and “Last Man Standing” (2006.) In addition to Shangri-La Entertainment, Shangri-La Industries includes a sister company Shangri-La Construction which is a sustainable green construction business focused on LEED-Certified commercial properties. About Tuff Gong Pictures Tuff Gong Pictures first gained fame for producing reggae videos for artists such as Damian Marley, Bounty Killer, Sugar Minott, and Everton Blender. In 2001, Tuff Gong Pictures released the Stephanie Black-helmed LIFE AND DEBT, a documentary which addressed the impact of international monetary policies on developing countries such as Jamaica. In 2005, Tuff Gong Pictures released their second thought provoking documentary also directed by Stephanie Black, AFRICA UNITE, which is described as a concert tribute, Marley Family travelogue and humanitarian documentary all in one. Cowboy Films produced Kevin MacDonald’s THE LAST KING OF SCOTLAND, which won an Oscar for Best Actor and a BAFTA for Best British Film. Other feature films include Beeban Kidron’s AMY FOSTER (aka Swept From the Sea) and Nick Love’s debut GOODBYE CHARLIE BRIGHT. TV productions include POPPY SHAKESPEARE which won the BAFTA for Best Actress and TOP BOY, a four-part thriller written by Ronan Bennett currently in production. Cowboy also produces short films including the Oscar winning WASP (Andrea Arnold) and the BAFTA winning I-DO-AIR (Martina Amati).To be released in May 2011 is Cowboy’s first feature documentary FIRE IN BABYLON, which premiered at the London Film Festival. About VH1 VH1 connects viewers to the music, artists and pop culture that matter to them most with TV series, specials, live events, exclusive online content and public affairs initiatives. VH1 is available in 99 million households in the U.S. VH1 also has an array of digital channels and services including VH1Classic, VH1 Soul, VH1 Mobile, and extensive video on VH1.com. Connect with VH1 at VH1.com.